CONSULTING - TMC Engineering Ltd.
Over the years, we have worked with a wide range of construction professionals in the local market. These include structural and civil engineers, architects, project managers, landscape architects, cost consultants, steel specialists, and many others. Our extensive network of carefully chosen professionals allows us to ensure that your project- however large or small- is done properly and precisely to your specifications. We have a strong track record of providing expert consultations for all phases of steel building projects and repairs. We can provide an unbiased, third party review of any proposed work including a review of the cost estimate you received. We collaborate with all parties involved in your project to ensure that the work they are proposing is feasible and delivered at the lowest possible cost. Our project experience ranges from small garages to some of the largest distribution facilities in the Bahamas. We have successfully completed numerous speciality projects such as refrigerated buildings, dormitories, and open-air arenas. 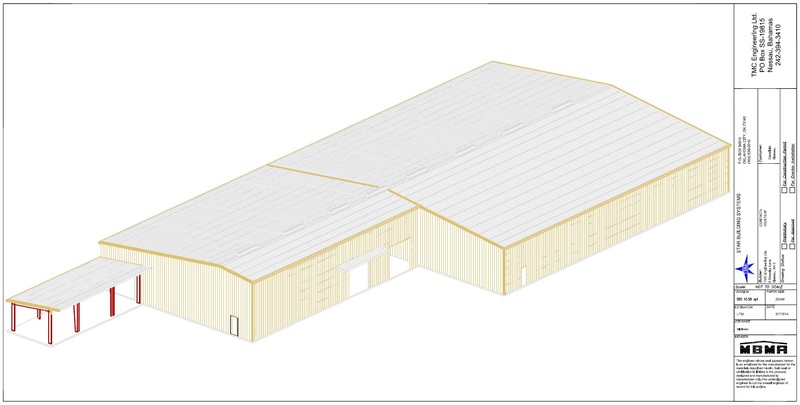 Our wealth of experience and knowledge in the steel building sector is unmatched. Let us put it to work for you. If you have a question about a steel building or construction project in the Bahamas, please contact us today.